Medium Tenacity Multifilament Polyester Yarn - - Products - Strong polyester yarn, polyester yarn Strong extracted from oil come in strong polyester raw silk, polyester Ke able Strong yarn, polyester filament high strength Strong, Strong polyester uniform color silk, polyester filament Strong elastic modulus high, medium and strong polyester yarn good impact resistance, strong polyester yarn in the dry heat shrinkage rate, - Jiangsu Konon New Material Co., Ltd.
Polyester is the most significant features of strong silk is strong, it is higher than the civilian strength polyester filament, and high-strength industrial polyester filament and yarn than conventional industrial high strength. Strong polyester yarn is derived from petroleum refining, its processes and the same as ordinary polyester yarn are: oil - naphtha - masterbatch - slice - spinning - complex. 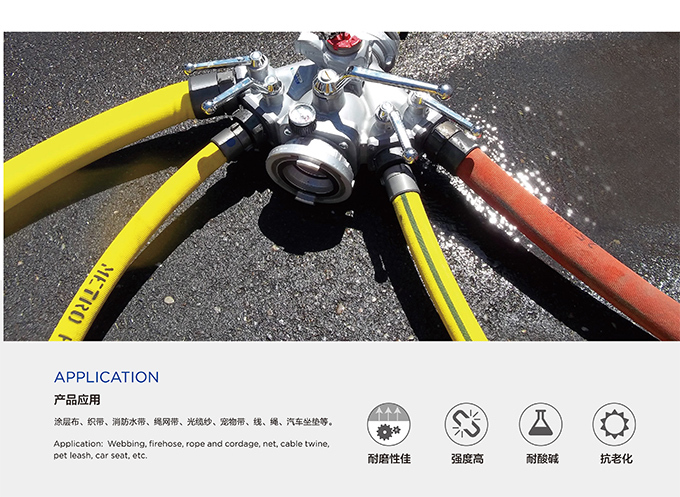 Slice high viscosity materials, high temperature high pressure equipment from spinning. 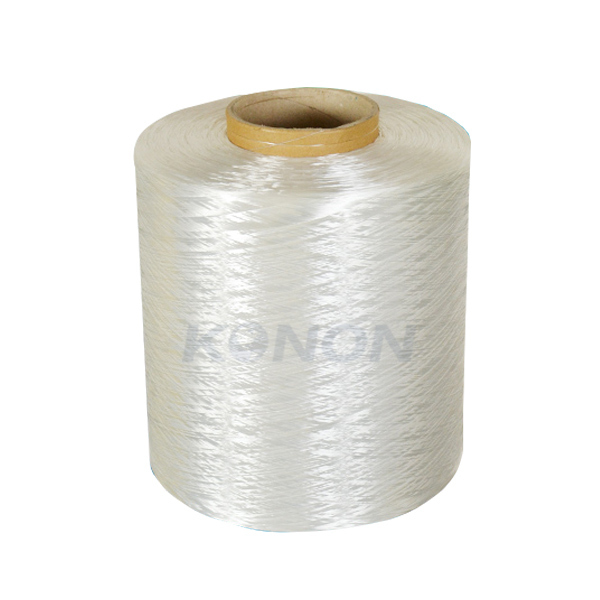 We produce polyester yarn in strong, powerful white up to 9.5 grams denier, colored up to 8.5 grams denier. Strong polyester yarn used in all high-quality masterbatch, the use of liquid melt dyeing process from production. It has good gloss, color uniformity, color fastness advantages. 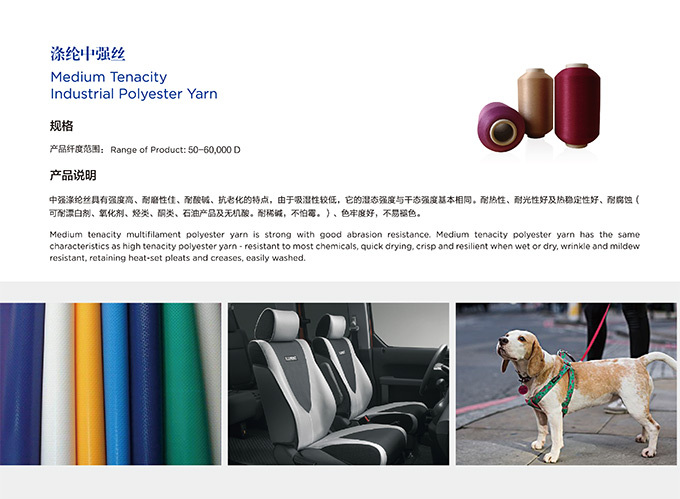 Strong polyester filaments have high strength, color spinning, acid and alkali resistance, tensile strength, high elastic modulus, high low elongation, high modulus, drying shrinkage, good impact resistance and other excellent properties. 1: Coated and laminated fabrics, such as: truck canvas, light boxes advertising cloth, shade cloth, tarpaulins, tent cloth, billboards, roof cloth, protective clothing, gloves, airbags, inflatable swimming pool, hovercraft, beach umbrella , building fabric, fabric filters, bag materials, lawn furniture, airport and exhibition center membrane materials. 2: The rubber-like textile products, such as: tire cord, safety belts, conveyor belts and the like. Cloth used in construction, safety belts, industrial harnesses, parachutes, artificial leather, protective clothing, etc. 3: ropes, nets, belts, such as: automotive and aircraft seat belt, cargo loading zone, infant restraint strap, shoulder strap, belt appliance facilities, animal control zone collapse transmission cable, belt, lifting belt, belts, fire hose, hose, fastening tape, luggage belt, fishing nets, cords, geotextile, geogrid.